If Britain were like France, the B4494 would be flagged as an itinéraire bis, an alternative route, as it parallels a stretch of the A34 between Newbury and Oxford The B4494 is a classic British B road, 15 miles of blacktop uninterrupted by settlements and off the official radar. After the eternal busyness of home-counties’ motorways and main routes, the sparsely trafficked B4494 is a pleasant surprise. Join it at Junction 13 of the M4 via Chieveley village. Narrowish and hedged, although fairly well surfaced, this route allows several miles of fourth to fifth gear motoring in your 911. Pass the turn-off to Brightwalton and, after a couple of blind corners (take it easy here), the road opens into a long straight. This is promising and the best is yet to come for suddenly you crest a hill as Berkshire gives way to Oxfordshire, the hedges disappear and before you is the Vale of White Horse. The cooling towers of Didcot power station are visible on the right, but the driver has no time to admire the view as the road is falling fast and he needs to react quickly to find third for the sharp left which appears abruptly. Now the route drops 200 feet in half a mile. The ability to accelerate downhill here is a real test as the straight is barely 300 yards before another sharp bend – this time to the right – looms. But looking to his right the driver has a perfect view of the next 800 yards which means this corner can safely be cut, as can the left kink 500 yards on, and you’re snatching fourth then fifth as the road rises again and a crest is approached. So open and unexpected is this marvellous piece of blacktop that it’s easy to get carried away here. However, caution is in order; visible from further back, but blind at this point is a sharp left. Lift off before the top of the crest otherwise very heavy braking will be required just as the 911 is unsettled by the sudden falling away of the road. The result is an untidy approach and this deceptive corner is spoiled (or worse). This is the most technical part of the descent. Another downhill stretch is followed by a further third gear right then the road levels out into another open mile straight. Lift off after the farm on the left as Wantage and its 30mph zone are fast coming into view. The farm entrance is a good place to turn round to try it again, for this two-and-a-half mile surprise package is irresistible. Once again, bends which are visible from afar lose their sightlines on approach and, although the wise driver has scanned the hill ahead, a cyclist or other slow moving hazard might be obscured. Third gear again for the first two bends then (if the route is clear) flat through the ‘Masta’ kink at the bottom of what is the steepest part of the ascent and then hard through the next left which has a clear sightline, but more caution for the final right which is blind. Here the ancient Ridgeway track crosses from east to west and the car park provides a convenient turning space.  Even if the A34 is behaving itself, this route is not a major detour and, in a crowded part of Britain, it provides a welcome reminder of exactly why we bought our 911s in the first place.